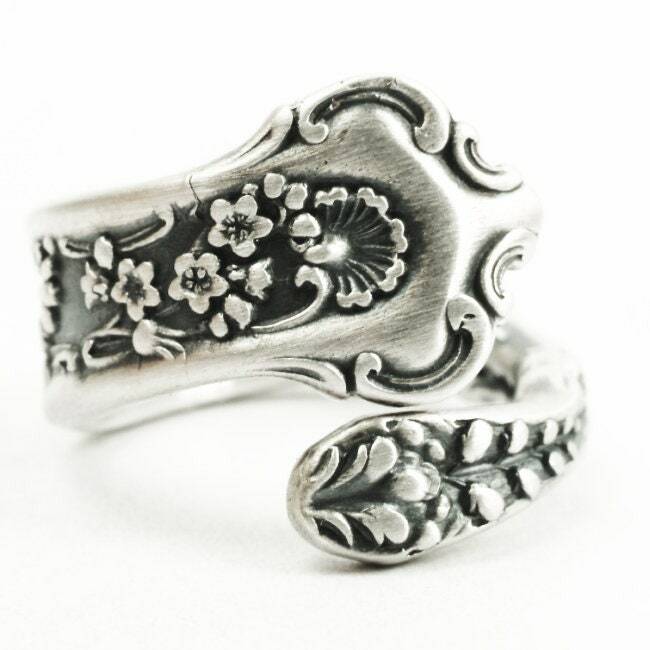 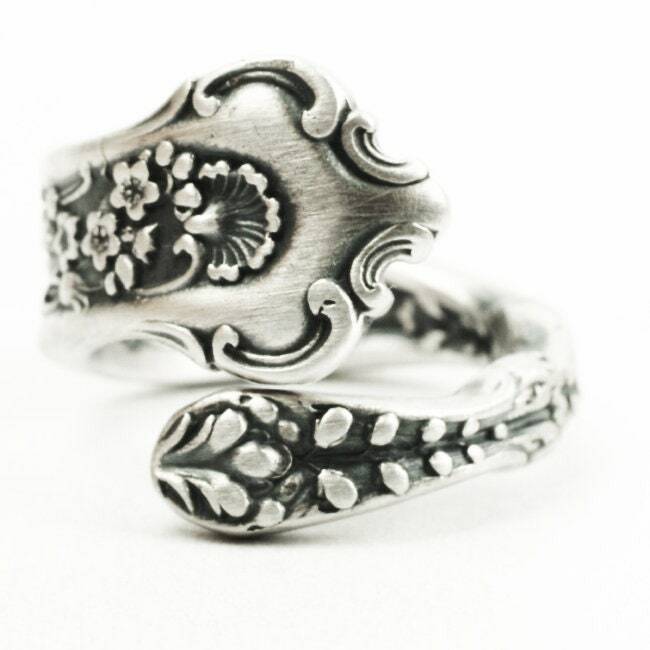 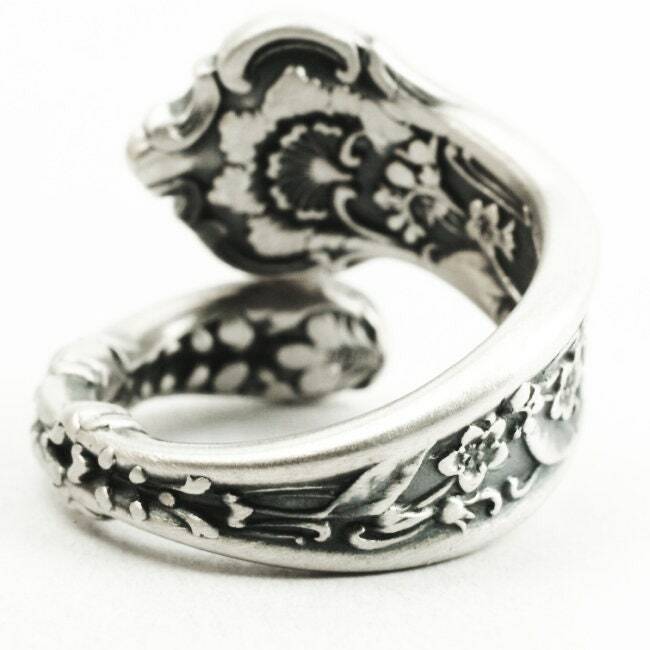 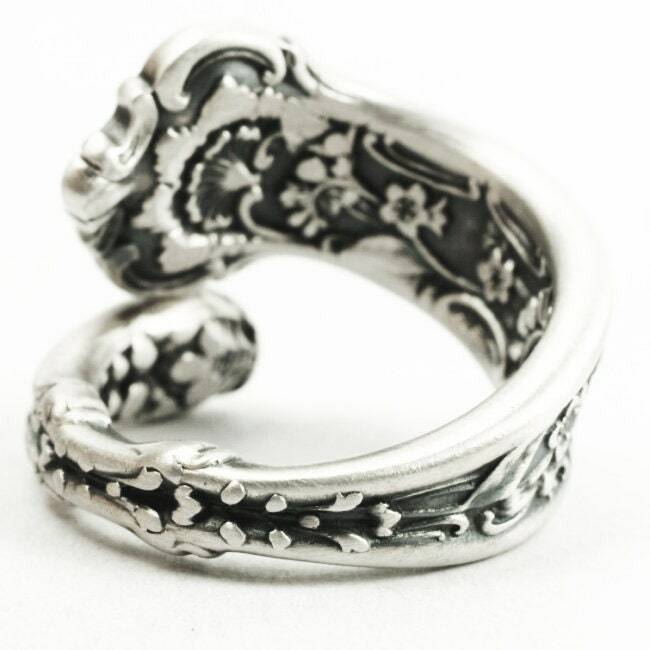 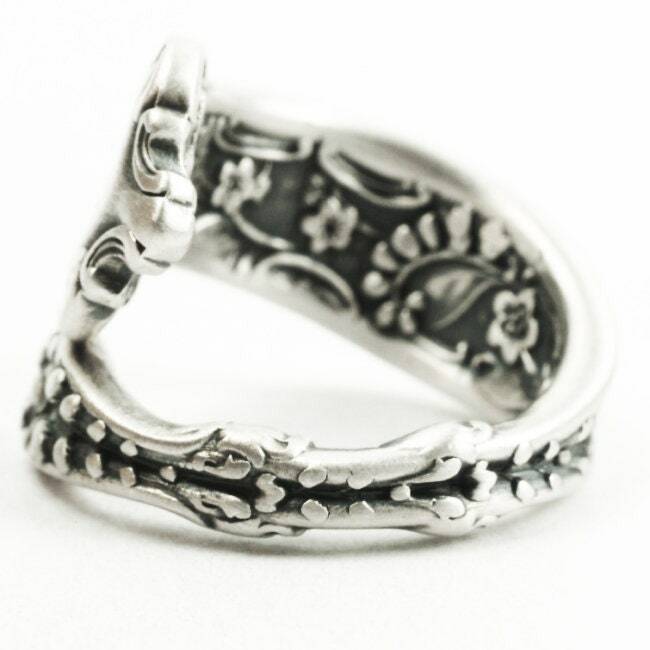 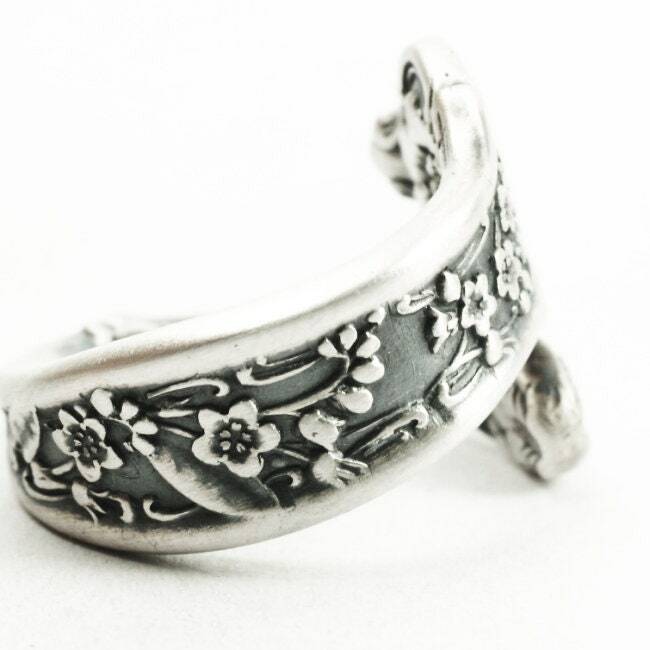 Dainty Forget Me Not Floral pattern on this antique sterling silver spoon ring (technically a butter knife ring)! 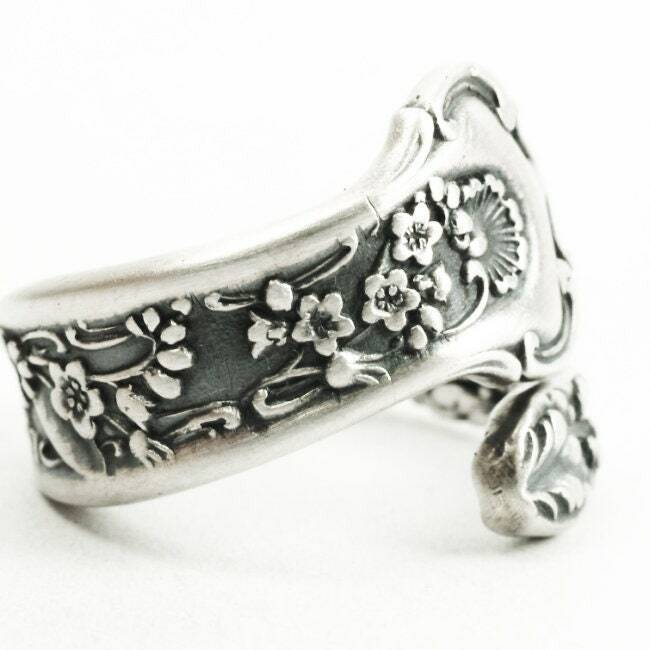 This flatware has a series of dainty forget me not flowers with lovely Victorian swirls. 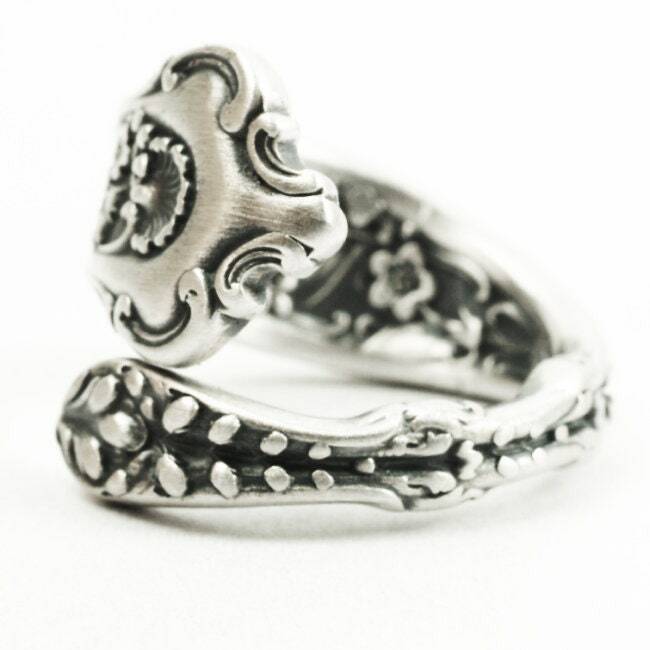 This piece was made by Whiting Mfg Co in 1896 called, "Dresden". 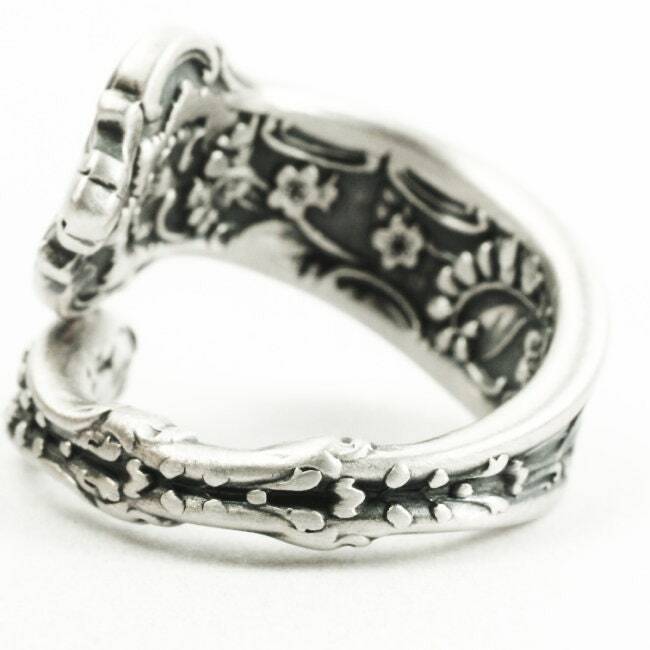 Amazing detail on the Outside & Inside of this design! 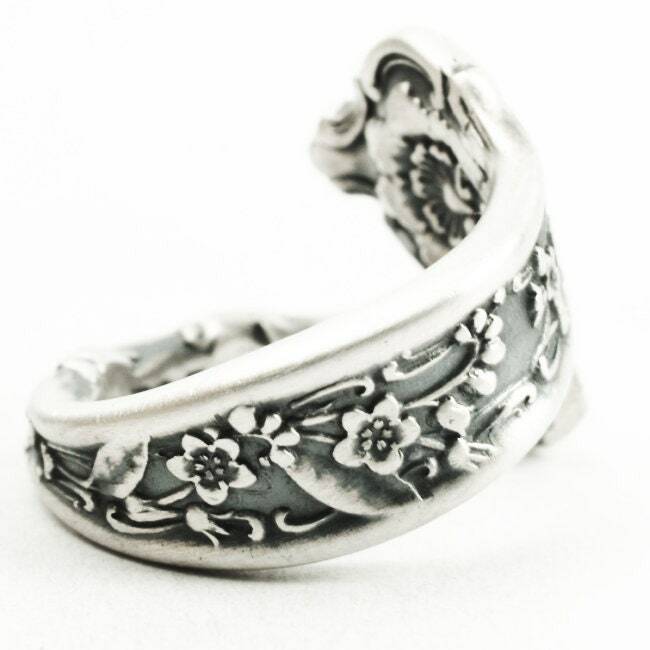 Dimensions: 11mm at widest point, tapers down to 3mm.